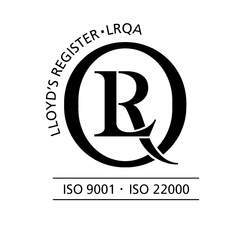 The first to achieve ISO 9001:2015 and 22000:2005 certification. The first to set a new standard in the food-transportation industry. The first to confirm excellence in our industry. ISO certifies that a management system or manufacturing process meets all the requirements for standardization and quality assurance. ISO 9001:2015 and 22000:2005 are both stipulations that focus on superior operations management, food safety and food defense. We earned this recognition through LRQA, which specializes in management systems compliance and business ​improvement services. They are recognized by almost 50 accreditation bodies and their services to clients in more than 120 countries. With ISO certification, we guarantee our processes operate with world-class performance and deliver consistent, high-quality products. This accomplishment reflects our dedication to customer satisfaction, food safety and the integrity of our customers' product throughout the transportation process. 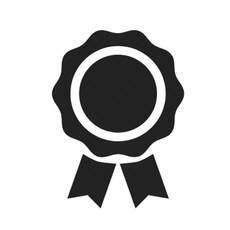 "Achieving ISO certification symbolizes our determination to be the best in the industry." "Through our continuous pursuit of excellence, Oakley has once again proven itself a pioneer in the industry." Oakley Transport boasts world class processes by becoming the first liquid food grade transportation company globally to achieve ISO 9000 success. Achieving ISO Certification establishes a baseline performance level that we are all committed towards and sets Oakley apart from other competitors.